Hello there and thank you for visiting me today, hope you are having a lovely weekend and hopefully feeling the benefit of an extra hour, with the clocks going back last night. I an doing a craft fair next weekend, so I've been a busy bee getting bits done for that (will add photo's later in the week) and trying to make sure that I've got a reasonable supply of cards to have with me. I have coloured with the old faithful promarkers, the paper came from a Papermania stack, sentiment created using Zitpy-do font and doily, button and twine from stash. This is gorgeous Lisa, such a delightful image coloured so beautifully. Thanks so much for taking part in the Passion for Promarkers Challenge this week. Hi Lisa what a gorgeous cute card!! Lovely card Lisa and good luck with the craft fair. Gorgeous card Lisa, love the adorable image. 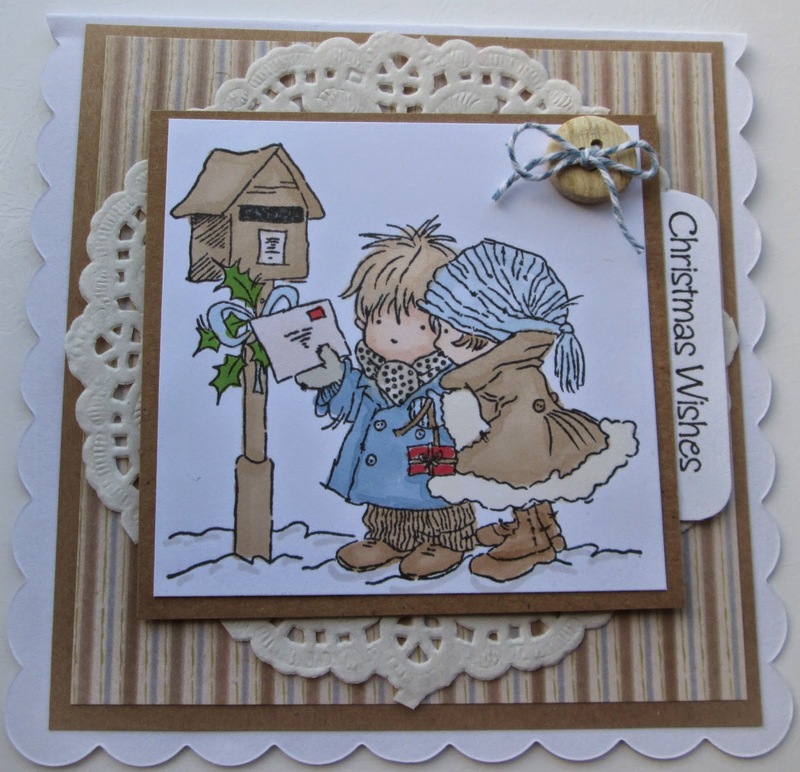 Fabulous colouring, lovely cute image, gorgeous card. Beautiful card Lisa, thanks for entering our challenge this month. A fabulous card Lisa, such a sweet image and lovely colour choices. I hope the craft fair went well.